Can you imagine a life without coffee? Visions of droopy eyelids and sluggish morning commutes certainly come to mind. A new study by The International Center for Tropical Agriculture has concluded that if global temperatures continue to rise at the projected rates, 80 percent of land in Brazil and Central America will be unsuited for Arabica coffee crops, reported the MIT Technology Review. This is of particular concern for global coffee supplies as Brazil and parts of Central America stand as global leaders in coffee production - not to mention that Arabica is the most popular type of coffee in the world. If these predictions come true, coffee prices will undoubtedly rise as production decreases significantly. A major problem considering TIME projected a 25 percent rise in coffee consumption globally in the next five years. Despite the release of this new report, the coffee shortage issue is far from new information. In fact, we reported on a similar study, in October last year. According to that research, 2014 saw a shortage of 6.4 million bags of coffee beans globally, a figure that was of considerable concern to one well-known coffee maker's supply chain in particular. Climate change is a pressing concern for Starbucks. The global chain is the single largest seller of coffee internationally, according to MIT Tech Review. As such, the company has been attempting to respond to these shortages in a variety of different ways. The supply chain changes to address the coffee scarcity date back over a decade. The company has trained a global network of farmers to conduct coffee bean growth under a specific set of standards. These criteria encompass a variety of sustainable practices including tree conservation to safeguard crops and a stringent management protocol to prevent damage from pests and diseases. Starbucks' supply chain practices not only work to reduce the company's environmental impact, but they also aim to get ahead of potential risks to the already limited crop supply. According to the source, 99 percent of Starbucks' coffee today is in full compliance with these standards. The company has also done some serious experimentation. In 2013 the business purchased a coffee farm in Costa Rica and used the land to experiment with coffee-growing practices in warmer temperatures. And while MIT Tech Review noted that the experiments have produced some results, the production levels are nowhere what would be needed to meet Starbucks' actual demand. The innovative efforts weren't limited to Costa Rica, however. Following devastating levels of loss for coffee bean farmers in Chiapas, Mexico in 2014 due to leaf rust created by warmer temperatures and increased rainfall, Starbucks began distributing rust-resistant coffee plants in the area. The company is completely transparent with the formula for these seedlings and their breeding - a notable and noble move by Starbucks to ensure coffee farmers everywhere can keep production levels solid. Obviously, Starbucks is not the only business that will be affected by the coffee shortage. 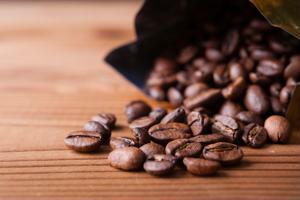 Leading coffee companies such as Nestle SA's Nespresso are testing out a variety of strategic moves in order to prepare for the increasing problem. According to Bloomberg, this includes things like seeking out different suppliers and moving crops to higher altitudes in an attempt to avoid the warming issues temporarily. For supply chain leaders this has been a continual struggle. Crop relocations and protective measures are understandable responses to the problem but they are a temporary solution. Higher levels of innovation, as demonstrated at Starbucks' Costa Rican laboratory, are needed on a much larger scale if suppliers are hoping to prove current projections for shortages wrong.